As an individual who desires a lean, attractive and “fat-free” appearance, you most likely have the idea that your ultimate dietary goal is to limit your consumption of fat as much as possible. And who could blame you for thinking that?For years we’ve been told that low-fat diets are the only healthy solution and that dietary fat is somehow an evil, harmful substance that should be steered clear of at all costs. Just walk into any grocery store and you’ll be bombarded with package after package of “low fat” and “fat free” products lining the shelves. Despite the current obesity crisis in the United States (where 7 out of 10 individuals over the age of 25 are considered overweight) our consumption of dietary fat is actually at an all-time low! That’s correct, we’re consuming LESS fat, yet we’re FATTER than ever! Simple: diets that focus on the extreme restriction of fat consumption are actually counterproductive to your fat burning results. 1.) Low-fat diets are naturally higher in sugar. Fats contain 9 calories per gram, and when you place severe limitations on your fat intake, you’ll naturally have to make up for those lost calories through an increased consumption of protein and carbohydrates. For most individuals, this means piling up their intake of fruits, breads, pastas and other such items that, while low in fat, are very high in sugar. Although your body requires a certain amount of glucose to fuel its daily tasks, any excess that isn’t needed and cannot be stored in the muscles for future use will simply be stored as fat. 2.) Low-fat diets increase cravings and hunger pangs. Not only does the addition of dietary fat provide a more “filling” effect from the meals that you eat, but since your carbohydrate consumption is now naturally higher, your blood sugar levels and insulin production will be in overdrive. Constant rising and falling of blood sugar not only lowers your energy and increases your appetite, but it increases your body’s rate of fat storage as well. 3.) Low-fat diets decrease testosterone levels. 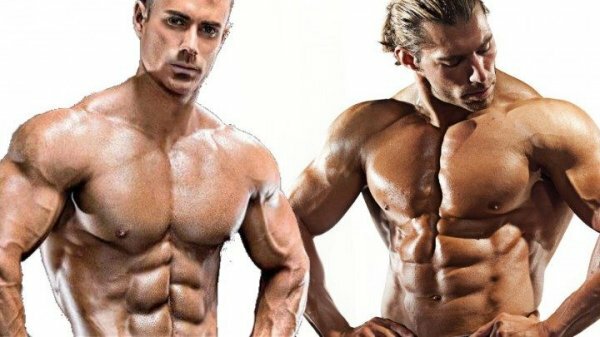 Most people are aware that testosterone plays a large role in the process of building lean muscle tissue (which in turn causes greater body fat losses), but testosterone in itself also has direct fat burning effects. Diets that focus on significant reductions in fat consumption also produce a measurable negative effect on testosterone production. 4.) Low-fat diets increase the rate of body fat storage. Your body is a far more complex and intricate “machine” than you might think, and it has all sorts of defensive survival mechanisms in place to deal with stressful situations. When you severely reduce your fat intake, the body perceives this lack of dietary fat as a potential threat to its survival since fat is a primary source of energy. As a result, the body will make the necessary adjustments which include a slow-down in the fat burning metabolism (to preserve its current fatstores) and a rise in hormones that promote fat storage. 5.) Low-fat diets are unhealthy. 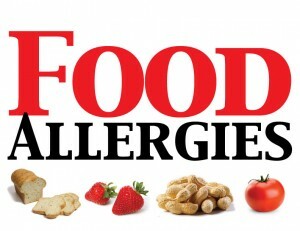 Your body quite simply NEEDS dietary fat in order for regular and healthy functioning. Forget about your concerns with storing body fat; if you deprive your body of the fat it needs to keep you alive and healthy, you will inevitably cause problems. Fats perform an endless array of positive functions in the body, including brain and nerve tissue development, organ insulation, immune system strengthening, anti-inflammatory effects, controlling cell membrane fluids and regulating hemoglobin production just to name a small fraction. For all of the reasons outlined above, your dietary fat intake should NEVER drop below 10% of your total daily caloric intake. This is just a minimum, and 15-20% is probably ideal. It’s not fat itself that is the enemy; it’s simply consuming the wrong types of fat, and consuming it in excessive amounts. However, it must be noted that an excess of ANY nutrient will lead to body fat storage. Your goal should be to limit your intake of saturated fats (those that are solid at room temperature and are typically found in animal meats), and instead place the majority of your focus on healthy, unsaturated fats which are derived from plant sources and are liquid at room temperature. This favorable form of fat provides a whole host of powerful fat burning, muscle building and overall health benefits and should make up the vast majority of your daily fat intake. 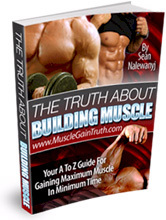 For Sean’s Complete Muscle Building System CLICK HERE! 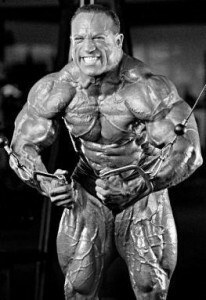 Bodybuilding Is in for Its Biggest Change Ever!